Alonzo Lerone: EVERYBODY HATES CHRIS ....BROWN IN JAIL UNTIL APRIL 23, 2014!! 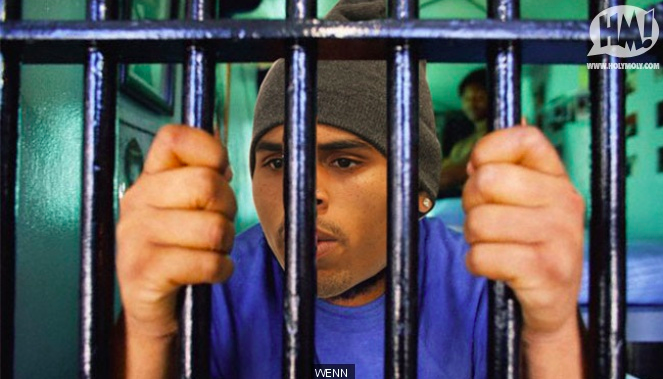 EVERYBODY HATES CHRIS ....BROWN IN JAIL UNTIL APRIL 23, 2014!! Chris was arrested after getting kicked out of rehab last Friday for violating a rule specifically for Chris — stay at least 2 feet away from every woman in the facility. DAAAAANG! Chris can’t even fist bump the lunch lady for hooking up the mystery meat loaf of the day??! That’s cold bro. I guess everybody does hate Chris. The judge said Chris had an "inability to stay out of trouble,” and was especially concerned at a statement Chris made at the rehab joint, "I am good at using guns and knives." So Chris will sit in jail until April 23. The L.A. judge will hold a probation violation hearing on April 23, and if Chris is convicted in D.C. he could be sentenced to 4 years in prison for violating probation in the Rihanna case. Chris Brown really can’t catch a break huh? Unlike the judge, I feel that Chris was doing better. I mean he hasn’t deleted a tweet in sooooooo long. Chris needs new people by his side. and that’s a fact!